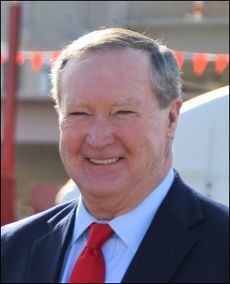 The Office of Planning and Economic Development works to create a climate in Springfield that is conducive to growing and attracting businesses in order to strengthen and revitalize the City's neighborhoods and communities and to stabilize and transform our physical, social, and economic environment. 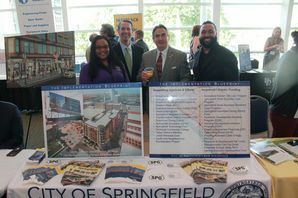 Springfield's booth at the Western Mass Developer's Conference, featuring Mayor Sarno and Economic Development team members Shayvonne Plummer and Anthony Moore. Springfield Office of Planning and Economic Development promotes the City as an attractive location for new businesses, retaining and expanding our valued existing businesses, and increasing our tax base. We provide planning support, technical assistance, coordination and advisory services to city officials, boards, and committees on issues involving land use planning, zoning, economic development, open space land preservation, smart growth, and historic preservation. Want to know what else we do at the Office of Planning and Economic Development?